The Jetstrap is a tool for the designers. You don’t need to download this theme. Just log in to this platform and get synced up with the Twitter and other social media platforms. In Jetstrap the working of the tool is super fast, easy drag and drop options, total web based interface and quickly responsive. Lavish online bootstrap is designed to make a web page look creative and awesome. You can easily upload images on the portal and get CSS codes which can be used anywhere to generate the whole page. 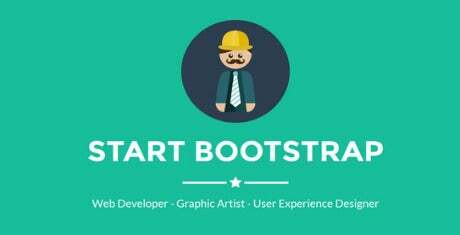 Multiple images can be used and add ons also work in equally responsive pattern with the lavish online bootstrap builder. The best part about using LayoutIt is that you can create excellent codes for hassle free website. The codes can be generated by effortless drag and drop interface. You can get all the help in developing mobile applications or web pages by using LayoutIT. The designs can also be incorporated in the work as CSS is used in it. Good HTML codes are generated easily by using Bootply. 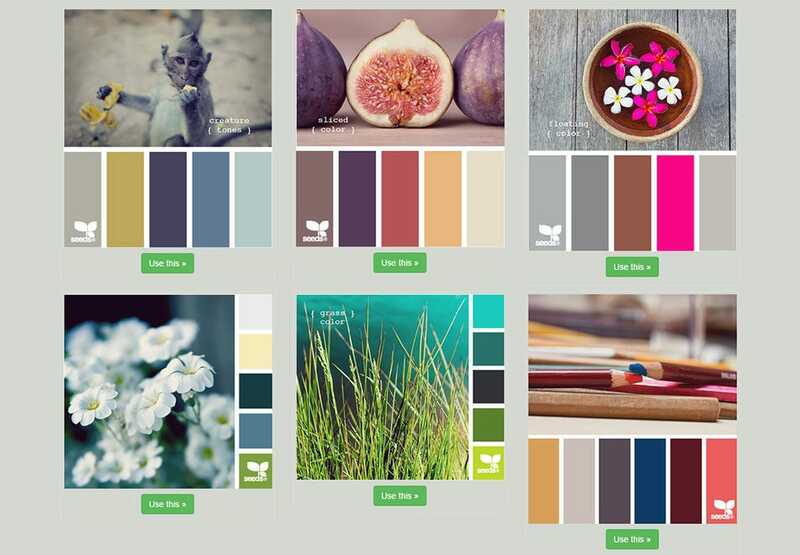 If you are looking for creating new themes and layout for your web page then you can take the help of Bootply. These codes can be generated quickly and work efficiently in all operating systems. The drag and drop options are available on the Bootply. Divshot has now joined the Firebase team at Google and is working wonders in generating creative ideas for user interfaces and mobile applications. 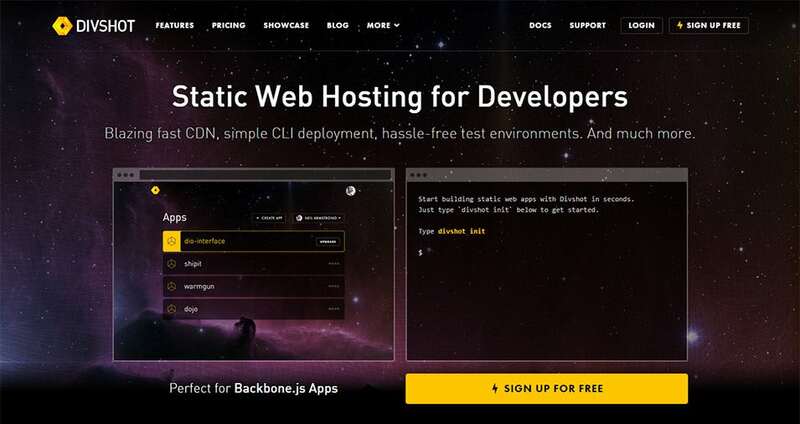 Easy applications are created and the codes work efficiently and can be used on any webpage. It makes the idea of developing an interface very easy. The split screen view helps you to view codes and services parallel which can be edited on the front page easily. 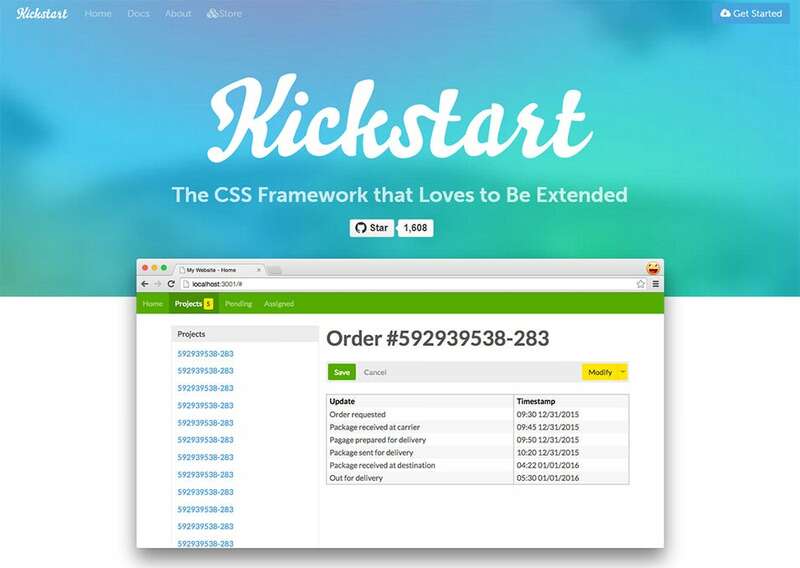 Kickstart is a library which uses CSS and acquires a very small space. Variable color options and the sidebars can be changed as and when desired. You can easily add pictures to your framework in the backdrop which can be edited as per the device. Codes are easily generated and edited according to the desired theme. 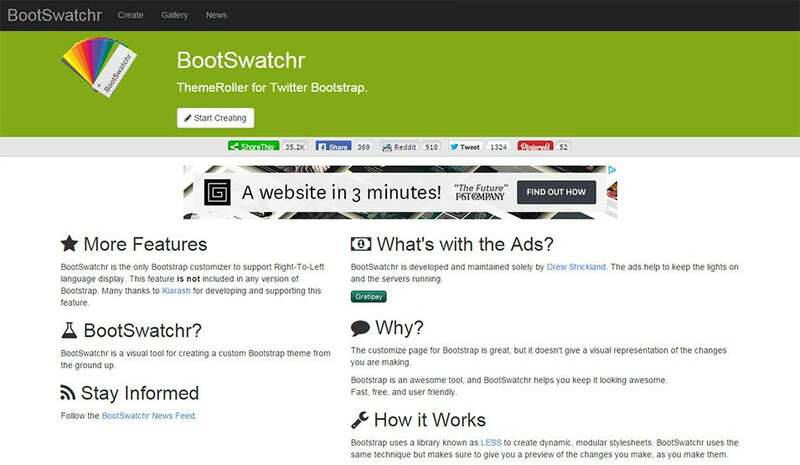 Customization is perfectly displayed when we use BootSwatchr. Any changes made in the code are impromptu displayed visually. It uses latest techniques and the dynamic working is displayed while designing any code. New themes can be created using BootSwatchr and modular style sheets are also available along with it. Theme creation and website designing is very easy as requires few clicks only. The images can be selected from the available default options or you can drop your desired selections on the project. The designing tool available helps you to save your time from coding. Just click on your selection and the code will be generated automatically. 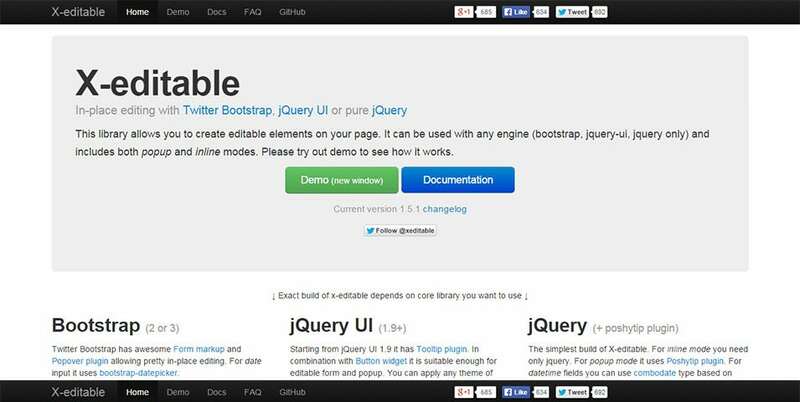 Bootstrap Theme can work jointly with your company’s twitter page. The available options are magic brushes, theme changers, fancy typing keyboard and easy import of variables. The easy download options are made available once you create a new theme or code. This tool has grand customization options like covering live events and simultaneous editing. The codes work extremely well in all user interfaces. The plugins are available on the screen. It has a demo video on the webpage which shows the working of X-editable to the users. The editors may work different but they have an element of drag and drop functionality where you can select different components from the huge bootstrap Sites library of components. If you are that designer who does want to have all that hand coding, you can use the components you want and then drag and drop them on to your canvas. This is an ideal feature for designers who do not know more about writing codes or they don’t like it. 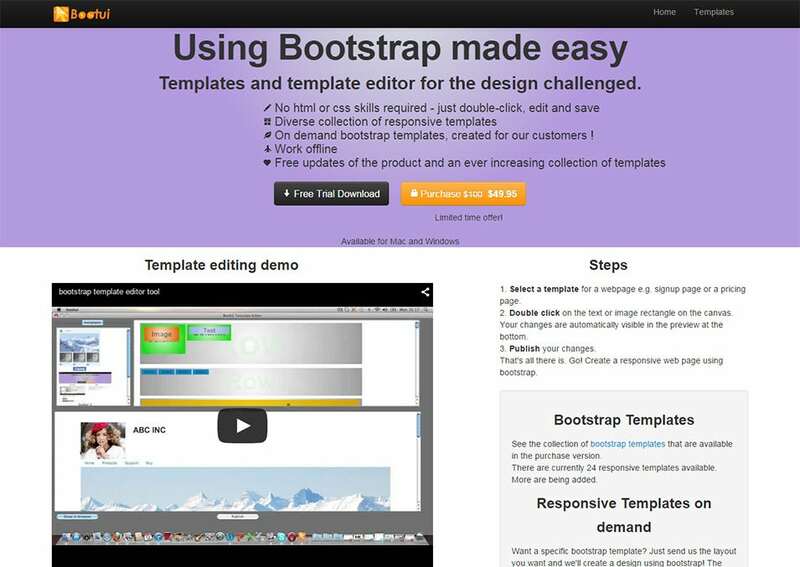 You can also see Bootstrap Design Templates. When using the visual editor feature, you are able to see a live preview of the web pages you are creating meaning you can make changes as you go. 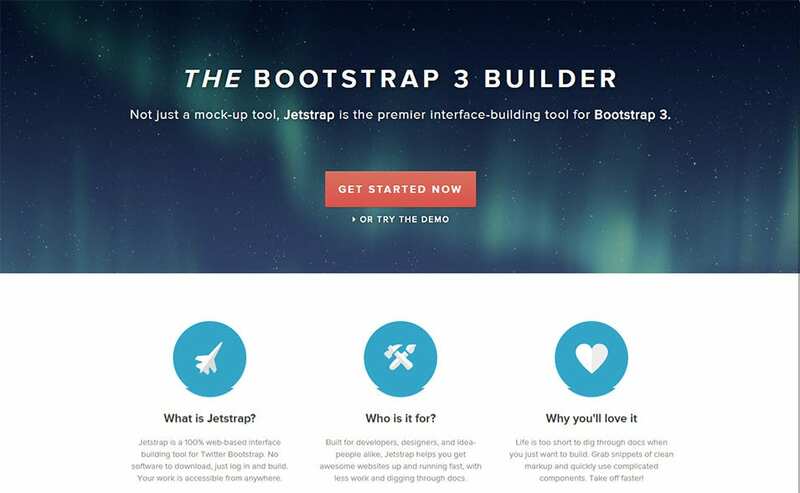 You can explore the different best bootstrap theme builders to see which ones can offer the best outcomes in your web designing needs. Discover the power of creating customized websites using templates builders. If you have any DMCA issues on this post, please contact us!